The term "landscape" can refer both to a distinct genre of painting in which the landscape itself is the main subject of the painting, and to the depiction of an outdoor setting which is not the main focus of the painting, but which provides a background for the main subject of the painting. Landscape developed as a distinct genre in the late sixteenth century in northern Italy, and grew in popularity in the eighteenth and nineteenth centuries. In this unit, we shall consider three very different examples of landscape painting. What are the dominant colours? How is the painting composed? What are the dominant shapes, lines and force lines? The painting is painted in oil. In what ways has the artist exploited this medium? What techniques of perspective have been used? 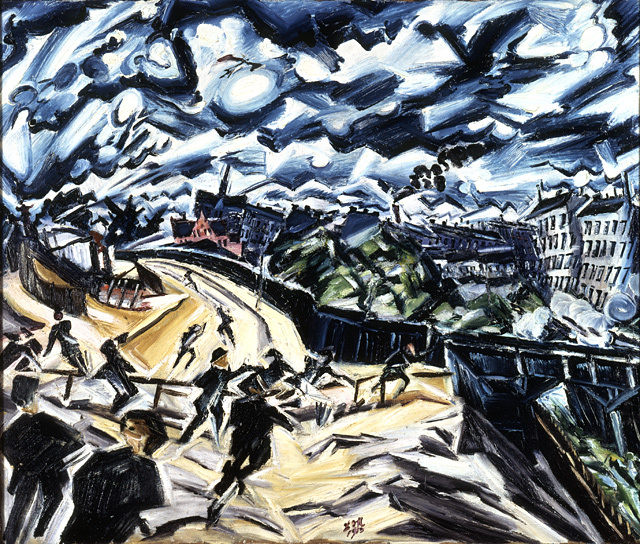 Look at Ludwig Meidner's Apocalyptic Landscape (Apokaliptische Landschaft) (1913): click here (external link). Consider the following aspects of technique. What are the colours used, and what relationships are there between them? Does the artist use techniques to convey distance, such as linear (or near-linear) perspective or aerial perspective? Are there contrasts of light and dark? What is the overall composition of the piece? What dominant lines guide the eye? Which human figures appear? How do they relate to the landscape? 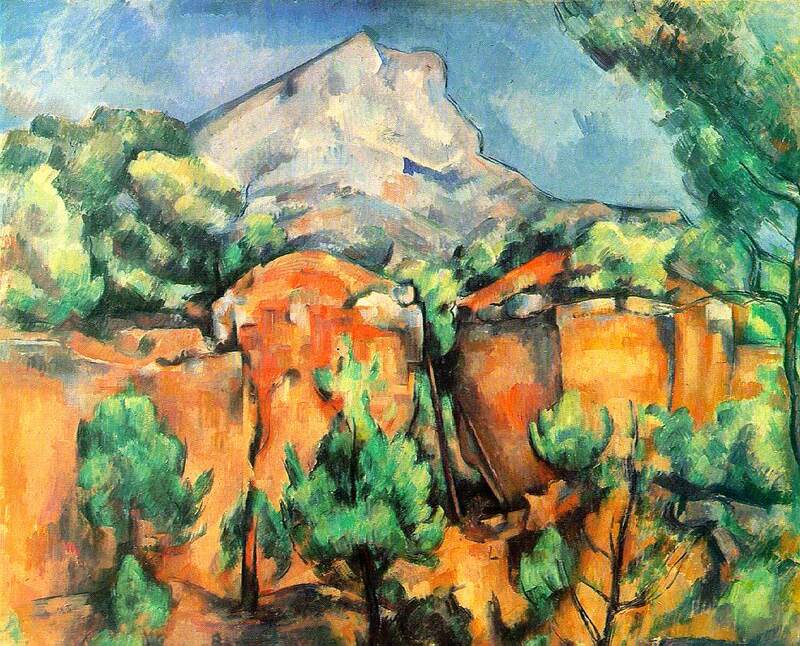 Look at Paul Cezanne, The Sainte Victoire, Seen from the Quarry Called Bibemus (c. 1897): click here (external link), and consider the following aspects of technique. Is there any use of aerial perspective? Has the artist used linear perspective? Have the forms been modelled? What are the dominant colours, and how do they relate to each other?